PJ’s Coffee of New Orleans has been satisfying the tastebuds of the south since 1978. With over 65 locations, it has finally made its way to the French Quarter! 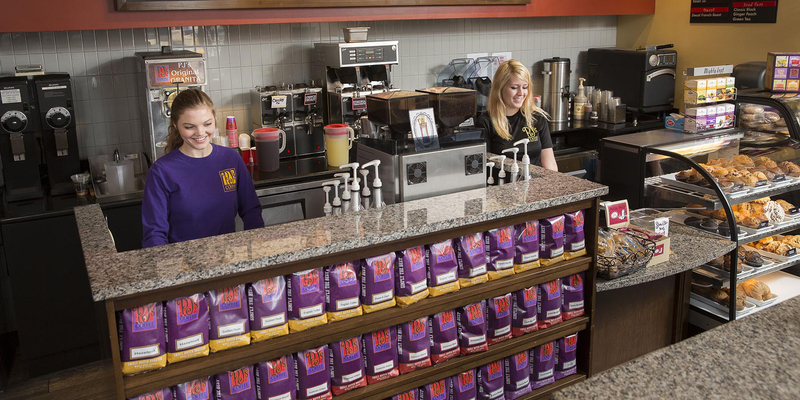 Guests of the French Market Inn Hotel can now enjoy PJ’s Coffee, conveniently located inside the hotel on Decatur. 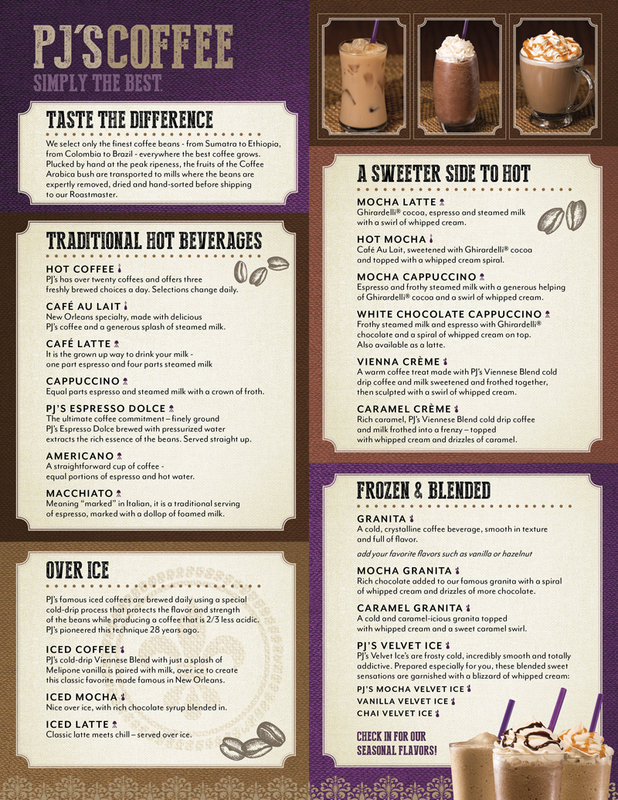 Grab your favorite hot, iced, or frozen coffee beverage and a treat before exploring the Big Easy! 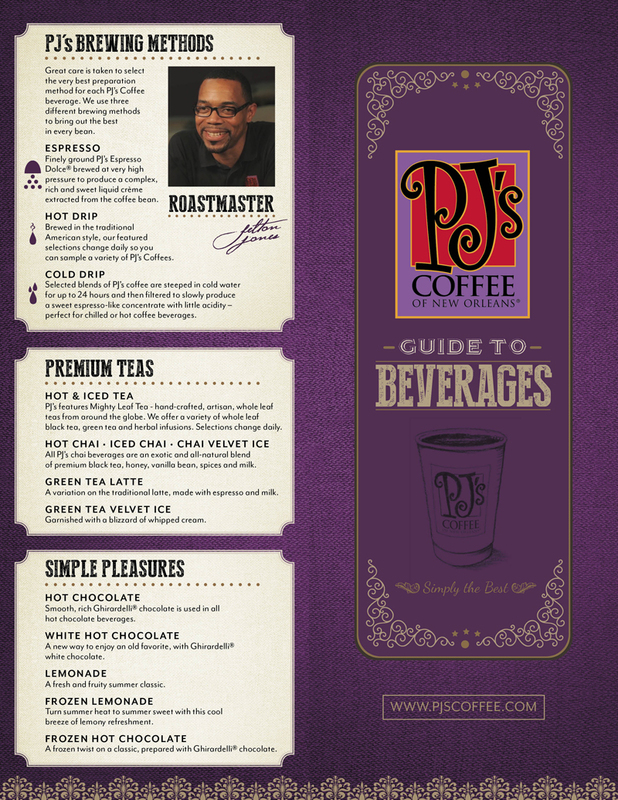 PJ’s Coffee of New Orleans is known for bringing the savory taste and experience of New Orleans coffee to the world. Pioneers in the coffee industry, they demonstrated that better beans from only the top 1% of Arabica beans, superior roasting techniques and passion for the art of coffee-making has proven to be an appreciated success in the market. Fresh coffee is brewed daily, including PJ’s famous iced coffees that use a special cold-drip process that protects the flavor and strength of the beans, producing a richer, less acidic cup of coffee. PJ’s also offers organic tea and fresh breakfast pastries. So, grab your cup, sip and enjoy on the balcony of the hotel, overlooking Decatur and the Mississippi River. Or, get it to-go and take a stroll through the French Quarter and take in the tastes and sights the city has to offer. PJ’s Coffee in the French Market Inn Hotel is open 6:00 A.M. – 9:00 P.M. daily, and offers free wifi to its customers.